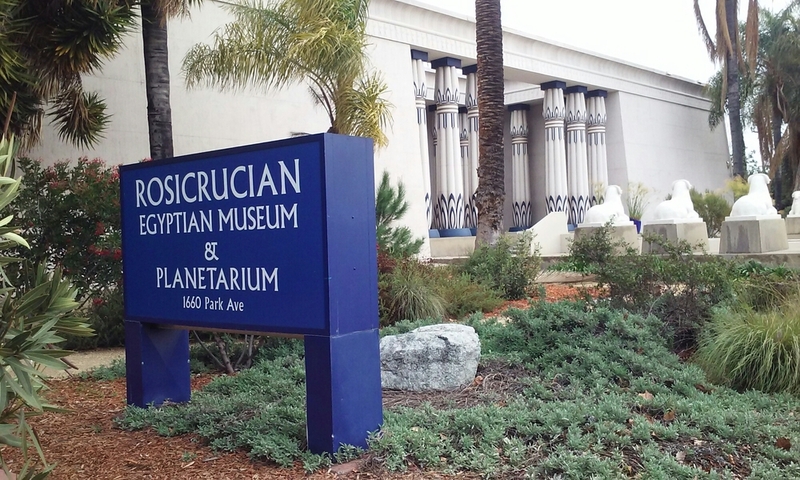 Not far from the Planned Parenthood picketers and the gentrified Rose Garden neighborhood sits the delightfully whacky Rosicrucian Egyptian Museum. Started by the Rosicrucian Society, a secret society that makes me think of a mash up of Knights of Columbus lenten fish fries, Free Masons, and John Rhys Davies' character from Indiana Jones, the museum holds the largest collection of Egyptian artifacts west of the Mississippi. The alabaster white exterior designed to look like a tomb is located across the street from the fanciest middle school I've ever set eyes on. The interior, split into two levels, hosts several major exhibits: life, death, alchemy (of course! ), and gods and pharaohs. 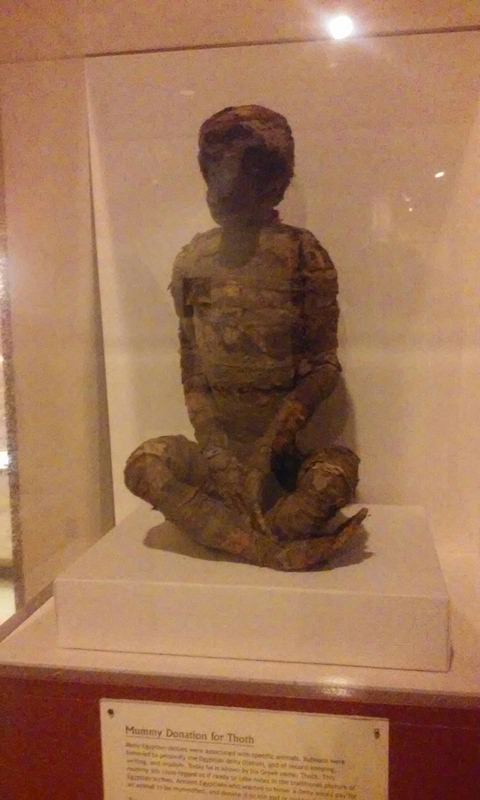 While I had seen a number of the reproductions at the British Museum, there were several items that truly caught my nerd fancy: a fake mummified baboon, the reproduction of a tomb with underground passageway and a musical instrument using the Pythagorean scale. Why would I like a "fake" baboon? Well, back in the day the priests realized people would pay good money for mummified animals so they started a trade much like the shifty entrepreneurial monks of the middle ages with Jesus' nail clippings and started selling fake mummified animals. So this "fake" was thousands of years old and reminded me that people have always been duplicitous. The tomb was unexpected and neat, but my favorite item by far, which I did not take a photo of, was the bells using the Pythagorean scale. The notes were just slightly off as to be unnerving, quite appropriate for the alchemy exhibit. The museum also houses a planetarium and a research library. The research library holds a collection of rare alchemy and religious texts. Outside they've planted papyrus to surround the obelisks and fountain. People were even doing a photo shoot in one of the gardens. I've known for years that the museum existed, but I'm still surprised such a place exists in the midst of bail bonds businesses and gilded age mansions turned dental offices.